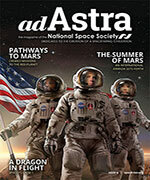 American leadership on the space frontier requires aggressive programs in technology development. Indeed, our Nation’s future requires that we lead in those technologies that have the greatest implications for 21st-century America’s economic productivity, health, security, and national spirit. Technological advance is critical to all three major elements of our recommended program: Science, Exploration, and Enterprise. Many valuable and exciting scientific investigations can be carried out in space with today’s state-of-the-art technology, but major advances in optical resolutions and telescope pointing accuracy are required to allow us to detect Earth-like planets circling nearby stars. High-performance nuclear-electric power systems make possible exploration of the outer reaches of the Solar System, and are important for future spaceports and Moon bases. Our budding space enterprises must have lower-cost access to space through advancing technologies if “Made in Space” products are to succeed against Earthbound competitors in the next century. The technologies needed for success in these ventures are many and varied. Some are rather specifically motivated by space needs, while many are of broad applicability. It is no exaggeration to say that applications in space are more technologically challenging than most terrestrial applications, in particular with respect to demands for reliability, low weight, and long life. Space needs, therefore, force technology developments which can later provide large benefits in terrestrial applications, though the latter might not by themselves have provided sufficient motivation for the research and development. Space research and technology development is carried out by the Government, by industry, and by universities, with financial support derived from either direct funding by Government research agencies, or from the independent research and development expenditures of industry. It ranges from very fundamental research carried out mainly in universities, to complex and expensive technology demonstrations, usually conducted by teams from Government and industry. The character of basic research is such that, particularly in its early stages, its application cannot be reliably predicted. Research must be pursued on a broad front, to identify and quantify technical possibilities before their usefulness can be judged. Such a research and technology program is therefore properly conceived as opportunity generating, not directed to specific applications. When the technological opportunities have been identified, it is then necessary to move aggressively to a level of thorough quantitative understanding to provide a basis for deciding whether and how to employ the new technology. Our current space technology program is deficient in two regards: first, the scope and intensity of the base research and technology program is inadequate to provide the range of technical options we need for both the near and distant future; second, there are opportunities, now clearly identified, which we have not developed to the stage where they can be selected for application. We believe the Nation’s space technology effort must be substantially increased. Because of its critical role in generating technological opportunities, NASA’s space research and technology program should be tripled, moving from its current two percent of NASA’s budget to six percent. This increase should be accompanied by a major challenge to NASA’s technology advisory committees to develop and recommend a bold new technology thrust for 21st-century America. These committees and boards, composed of the best technologists and managers from industry, Government, and academia, are well positioned to do this. We urge broadening and renewing their membership to cover new fields proposed in our program. The Commission also urges NASA to take full advantage of industry and academic inputs in structuring the technology base program. There are, however, some specific areas of base technology which the Commission wishes to emphasize, and some areas in which it recommends special efforts to make technologies available for application. We know that even more distant and fainter celestial objects await detailed sensing through an entirely new class of space instrumentation. Very large and sensitive devices, constructed in space and situated singly or in groups at strategic points in Earth orbit and beyond, are essential to both Earth science and advanced astrophysics programs. The devices will range from radio antennas and area cosmic ray and gamma ray detectors, to Earth-scanning sensors and segmented visible light telescopes combined in pairs for interferometry, or in multi-element clusters, for increased collecting area. Assembled at the low Earth orbit Space Station, these facilities will be transferred to their operational sites by a family of orbital maneuvering and transportation vehicles. For these missions we must assure that structural techniques, such as on-orbit assembly, manipulators, and modular designs, are available at reasonable costs. Precise control of large structures is essential, especially in optical missions that call for the measurement of objects with high precision. Development of robotics, tele-operators, fluid transfer, and storage techniques can facilitate refurbishment and supply programs for large astrophysical observatories. Stationkeeping demands for interferometry missions with precise pointing requirements will necessitate highly efficient, small thrusters. Large optical must remain dear of contaminants. Using these optics in space will challenge us to create the technologies for broad-band u1traviolet-optical coatings, reflection technology, precision surfaces, and lightweight mirrors. Autonomous systems, artificial intelligence, better time and motion studies, and improved computational paradigms will make possible smaller, more efficient ground crews to handle the expected floods of data relayed from space-based observatories. As we fill near Earth space with instruments of great capability, studies suggest that the Moon is the preferred location for some future astronomy missions. The reasons include freedom from contaminants and the Moon’s ability to provide a stable platform for astrophysical observations. A very cold view of space can be obtained at certain sites on the Moon, ideal for infrared systems. Far side radio telescopes could scan outward without radio interference from Earth. Gravitational wave astronomy could be implemented on the Moon, a body nine to ten times less active on a seismic scale than Earth. Precision instrumentation on Earth’s Moon will yield new knowledge of our surrounding Universe, while challenging our technology base. New propulsion technologies are needed to make advanced planetary sciences missions possible. Accordingly, major advancements in launch capability, and, most likely, in aerocapture/aeromaneuver capabilities as well, are essential if the exploration of the outer Solar System is to proceed beyond the Galileo level, or to examine in any detail the fascinating worlds beyond Saturn, These technologies are, in fact, generic requirements for all future advanced planetary missions; they are specifically required for sample return missions. The necessary propulsion capabilities can be achieved in several different ways or perhaps by a combination of techniques: use of a space station for staging; development of solar electric or nuclear-electric propulsion; and the use of aerocapture/aeromaneuvering capabilities, as discussed in the next section. High-temperature technology for deep atmospheres of the giant planets and surfaces of Mercury, Venus, and Io. We need an integration of humans and machines, each augmenting the other’s capabilities, to meet future transportation needs. Enabling technologies include tools, life support and health maintenance, and astronaut selection and training. Robotics is an extremely powerful tool, especially for extravehicular activity (EVA). The goal of our technology base in this area should be to replace EVA with robotics for routine satellite servicing and fueling operations. This is a repeatable and predictable activity and should take full advantage of robotics. For lunar distances, sensory-motor coordination of a space-situated robot’s hands and eyes can be entirely within the brain of a human operator; for more remote operations, the robot itself must have this capability. NASA’s robotic technology program should not follow U.S. industry, but should lead it, as industry thrusts will not produce the sensitive robotics needed for space operations. Another tool needing support is a smart orbital maneuvering vehicle suitable for either tele-operation or piloted maneuvering and space-suited hands-on operation. Present-day space suits are not: readily maintainable, do not permit ready reuse without servicing, and hamper their occupants by reduced dexterity, particularly in gloves and joints. Although we encourage development of new space suits, we believe that NASA should begin pursuit of technology leading to a non-suited astronaut capsule with appropriate arm-mounted end effectors. This “Alvin Submarine for Space” would contribute greatly to on-orbit repairs and construction duties. A third class of tools is expert systems. We propose a goal of providing sufficient on-board capability for semi-autonomous spacecraft repair, maintenance, and replanning for those conditions with communication delays. Current systems are too inflexible and rule-based; they need to evolve into self-diagnosed model-based systems. We recommend that: NASA explore the limits of expert systems, and tele-presence or tele-science for remote operations, including ties to spacecraft and ground laboratories. In working toward these goals, a broad examination of the non-space applications of tele-science should be included. In the category of life support, the goal must be to provide facilities and procedures to maintain crew fitness for long-duration missions. Soviet post-flight data suggest a comparatively long readaptation time is needed following prolonged spaceflights. The United States must begin to develop artificial gravity technology, including centrifuge, tether, and gravity-gradient techniques. As a related issue, provisions are needed for improved on-board detection of solar flare activity and for radiation protection to permit human travel beyond low Earth orbit. Key to human journeys over long periods of time will be the development of reliable Closed-Ecology Life Support Systems (CELSS), leading to synthetic biospheres that dose the air, water, and food loops. This will make possible low mass life support for large crews. Current systems require excessive use of expendables and, while the technology base for some advanced CELSSs exists, U.S. aspirations and research levels are unacceptably low. We recommend that: NASA institute a major new effort to develop a space-qualified synthetic biosphere, building on current activities (See sidebar on Biospherics). Astronaut selection and training does not require a great deal of technology development but does call for a continuing reassessment of the term “astronaut.” As we move to the space-station era, the skills necessary to operate the facility are managerial, technical, and scientific. Many aspects of advanced missions in space involving humans will not require piloting skills. Our goal should now be the matching of astronaut selection and training to the needs of the mission. We must begin to secure mixes of people expert in their respective duties and capable of maintaining the Space Station as a highly productive workplace. Nuclear power sources are critical for some future key missions, such as outer planetary ring exploration and human settlements on the Moon and Mars, and offer lower cost and higher reliability for cithers. They are able to provide large amounts of reliable energy output for 5- to 10-year durations, are lower in mass than competing solar power systems, are very compact and can survive severe radiation environments, and operate far from the Sun. However, to be acceptable to mission users, performance, reliability, schedule, and economy must be significantly upgraded. There are four types of nuclear power sources available or under development: (1) radioisotope thermoelectric generators in which a ball of plutonium-238 generates heat for long distance probes to planets like Jupiter—up to 1 kilowatt (kW); (2) dynamic power systems, -now in use on Department of Defense (DOD) surveillance spacecraft—at the 1 kW electric (kWe) to 10 kWe level; (3) the SP-100 reactor power plant, with many possible uses envisioned, including the Strategic Defense Initiative, nuclear electric-propelled spacecraft and an evolutionary civilian space station-10 Me to 1000 Me; and (4) multi-megawatt reactors, seen as an important power source for lunar and Mars settlements 1000 Me. In keeping with the promise of space nuclear power, we recommend: (1) conversion of the SP-100 nuclear reactor from a ground demonstration test in 1992 to a flight test in space; (2) expansion of the research and development effort on a multi-megawatt power system; (3) enhancement of the technology base of the radioisotope thermoelectric generator and dynamic isotope power system programs; (4) sustained commitment to an integrated space nuclear power program; (5) more active involvement by NASA and DOD in providing guidance and setting target requirements for the national space nuclear program; and (6) an increase in the level of effort in research and technology development on space nuclear power systems to decrease the technical risk of utilizing reactors in space. We believe that the Nation’s advanced space transportation needs require: (1) significantly lowering the cost to achieve low Earth orbit; (2) safe, reliable, low cost transportation in space; and (3) increased propulsion performance to allow higher velocity changes in space to reach distant locations or difficult trajectories. We discuss approaches to decreasing the cost of carrying cargo and passengers to low Earth orbit in the next section. Future space transportation to orbit will consist of unpiloted cargo transport vehicles and advanced technology passenger transport vehicles, or hybrid vehicles. Our review of the space transportation area suggests that the technologies critical to achieving lower cost unpiloted launchers centers in the manufacturing of the principal components of the vehicle: materials, structures, engines, tanks, guidance, and control. A second critical need is to increase safety and reliability while reducing the “standing army” now needed to support launch operations. Launch vehicle checkout prior to lift-off must be increasingly automated, including built-in readiness tests coupled with hardware more tolerant to mishandling, and systems that correct their own failings. To lower costs of passenger transport to low Earth orbit, we need reusable vehicles that are robust and reliable. Candidate propulsion systems with all stages recoverable, in order of increasing technological challenge, are: (1) two-stage rocket with separate hydrogen/oxygen and hydrocarbon/oxygen engines; (2) a single-stage vehicle whose engines can bum both hydrocarbon/oxygen and hydrogen/oxygen mixtures; (3) two-stage, airbreathing, liquid hydrogen first-stage, hydrogen/liquid oxygen rocket second-stage, horizontally launched; and (4) a single-stage, combined-cycle using hydrogen/oxygen, and capable of horizontal launch and airbreathing operation to orbit (aerospace plane). The propulsion technology base must be vigorously extended for both rocket engines and airbreathing engines. Advances in durability of the thermal protection system and in lightweight materials and structures will pay off handsomely in lower operational costs, as win improvements in the information, guidance, and control systems. These vehicles can benefit from the major advances in computer technology that have taken place since the shuttle was designed if programs are initiated now to develop space-rated, fault-tolerant computers. All of these areas will require early technology demonstrations if the improvements are to be validated in time for vehicles to be operational by the late 1990s. For the airbreathing option, extensive research and technology development is also needed, whether it is wed in an airbreathing first stage, or in a single stage vehicle. Here the critical technologies are in the Supersonic Combustion Ramjet engine (SCRAMJET), a propulsion device that has been well understood conceptually since the early 1960s but has been experimentally validated only in ground experiments, and only up to Mach numbers of about 8. To be attractive for orbital launch, its Mach number must extend at least to 12, and preferably beyond 15. The essential feature of the SCRAMJET is, that the air is not slowed to low velocities before the fuel is added, as in all other airbreathing propulsion systems; rather, it is slowed only to a Mach number ranging from 3 to perhaps 8 relative to the vehicle, and the hydrogen fuel is injected into and burned in the supersonic flow before it is expanded in the nozzle. This minimizes two problems of high speed ramjets, namely the high pressure and temperature which the air reaches if slowed to subsonic speeds before combustion. One fundamental problem, however, remains. This is the fact that the amount of energy that is added to the air flow by the combustion of hydrogen fuel is very small compared to the kinetic energy of the incoming airflow at high Mach numbers, and also small compared to the kinetic energy of the combustion Products flowing out the nozzle. Thus, the thrust, which results from conversion of the fuel’s combustion heat to kinetic energy in the nozzle flow, results from a small difference between the nozzle flow velocity and the flight velocity. This difference can be less than one percent at a Mach number of 20. It follows that the success of the SCRAMJET depends on extraordinary sophistication in fluid mechanical design. There is reason to believe that with modern supercomputer technology and experimental capabilities, a design can be achieved which will yield specific impulse values, averaged over the Mach number range from 0 to 23, as high as 1,000 to 1,500, which is two or three times that of a hydrogen-oxygen rocket. If these values can be achieved, the propellant mass fraction of the vehicle will be small enough to make single-stage-to-orbit practical. The critical step here is the validation of the propulsion system at high Mach numbers. Since no ground test capability is available at such Mach numbers, and indeed none seems feasible, the propulsion system must be validated experimentally in flight. This is the principal purpose of the national aerospace plane program, which the Commission strongly endorses. For in-space transportation we need a transfer vehicle with aerobraking. The transfer vehicles, with attached aerobraking systems, will graze the Earth’s upper atmosphere, dipping as low as 200,000 feet altitude in order to lose enough velocity to rendezvous with the Earth Spaceport. It is envisioned that ceramic fabric-coated trusses, inflatable balloon-parachutes, or other novel, lightweight high-temperature devices will be needed, with mass less than 15 percent of the transfer vehicle dry mass, and diameters of 50 feet or more. Adaptive fault-tolerant avionics will also be needed for precision guidance and control during the vehicle’s critical pass through the upper atmosphere. An experimental program to fly an aerobrake launched from the shuttle is needed to characterize its aerothermodynamic design parameters and shock wave patterns. Data on non-equilibrium heating and reradiation from the shock cannot be obtained from previous Apollo and shuttle reentries, since they did not probe the relevant velocity-altitude profiles, and theoretical predictions are thus too uncertain for transfer vehicle aerobrake design. A modest investment in this technology can make possible major future reductions in space transportation costs. Other critical technologies for transfer vehicle development include long-lived hydrogen/ oxygen rocket propulsion, reliable guidance and control systems, and orbital refueling capability. Flight demonstrations are badly needed to validate the combination of these technologies. These technologies can produce a potential doubling of payload for future mission planners. In an electric spaceship drive system, the energy needed to accelerate the propellant is provided electrically rather than from the chemical energy of the propellants themselves, as in a chemical rocket. Because the energy source is independent of the propellant, the propellant can be accelerated to an exhaust velocity optimized for a particular mission. Electric propulsion holds great promise in at least two applications, involving two quite different technologies for the accelerator (See sidebar on Electromagnetic Accelerators). For demanding scientific missions to the outer planets, the appropriate technology is the “ion engine,” in which ions of cesium, mercury, argon, or (possibly) oxygen are accelerated to high speeds by electrostatic fields. In such applications, the propulsion system produces a low vehicle acceleration, on the order of .001g to .0001g over the entire mission time, which may be years. Ion engine technology is highly developed, and ion engines have been used in space. The pacing item for their application to outer planet missions is the power source. For operation far from the Sun, a nuclear electric power source is almost certainly required, and it is, therefore, the pacing technology for the use of ion engines in the outer solar system. The other electric propulsion accelerator technology is the “mass-driver,” whose applications are quite different from those of ion engines. Mass-drivers have been developed to the level of successful laboratory demonstrations, and there is a rather high level of confidence in their feasibility. However, their technology must be developed further to bring them to the same level of availability as ion engines. Mass-drivers must operate in a manner that will prevent their propellants from contributing to space debris. In space parlance a “tether” is a long thin wire which joins two orbiting masses to force them to orbit together at the same angular velocity (See sidebar Tethers). Since the outer body is thus forced to orbit faster than it would if free, and the inner one slower, the tether is in tension. In another configuration, the two masses rotate about a common center of gravity. Such tethers have myriad potential applications, from generating electric power by passage through a planet’s magnetic field, to raising the orbits of satellites launched from vehicles like the shuttle, or the delivery of payloads to a space platform from a suborbital launch vehicle. In a spaceport application, tethers could conserve propellants by transferring momentum between upgoing and downgoing spacecraft. They have been extensively studied theoretically, but an in-space validation of these studies is needed soon so that the manifold advantages of tethers can be exploited. Such a demonstration is under development for flight on the shuttle. It should proceed forthwith. In addition, ultra-high strength materials, valuable for many applications, should be developed for higher-capability tethers. Many of the potential cost savings for operations within the inner Solar System stem from reducing transportation needs by using materials available locally on moons, asteroids, and planetary surfaces. These range from shielding to the production of propellants, solar cells, and structural elements. In order to reduce the cost of future space operations, we recommend that: The augmented technology program we propose for NASA specifically include vigorous development of the technology for robotic and tele-operated production of shielding, building materials, and other products from locally-available raw materials. Existing and emerging space industrial activities can be divided into four categories: communications, space transportation, remote sensing, and space manufacturing. Our civilian space program has investigated new frequencies and methods of improving communications satellite bandwidths; it: has created meteorological satellites; it has stimulated use of and provided ready access to remotely-sensed data of Earth’s surface, turning over the Landsat-series spacecraft to private industry; and it has provided the ability to perform experiments related to space manufacturing aboard such as the Skylab space station and the space shuttle. Such commercial uses of space have led to rather mature industries. Communications, navigation, and some aspects of Earth resource sensing are progressing well. Microgravity manufacturing, while still in its infancy, is inhibited by high launch-to-orbit costs, but has promise. We encourage the Nation, with NASA as the focal point, to continue to stimulate a variety of potential commercial uses of space. In addition to the direct commercial returns, there will be benefits to the military sector, from the stimulation of the economy, from our ability to meet foreign competition, and from technology spinoffs. We support the augmentation of NASA’s space research and technology program, to more fully support the broad constituency of governmental space users. With such invigoration, NASA can reemerge as a developer of technology. NASA should have a role in space technology to support the space industry analogous to its role in aeronautics. In each case this is built on unique NASA aerospace facilities that others cannot afford to duplicate, and on the broad competence residing in NASA’s scientific and technical personnel. As the Space Station becomes available in the 1990s and provides a central research and development facility in space, it win be analogous to NASA’s terrestrial aeronautical facilities. This would dearly be in the tradition of the National Advisory Committee for Aeronautics that served as the basis for the creation of NASA in the National Aeronautics and Space Act (NASA Act) of 1958. NACA was established by Congress in 1915 to supervise and direct the scientific study of the problems of flight, with a view to their practical solution, and to determine the problems that should be experimentally attacked, and discuss their solution and their application to practical questions. The cooperative nature of NACA wits clearly indicated by its membership, representing the academic community, the military, and industry. It is clear from reading the NASA Act that in the field of space technology, NASA should follow in the footsteps of NACA, and play a role for the space industry analogous to that which it has had in aeronautics since its founding. The recent tragic loss of shuttle Mission 51-L has created a temporary interruption in our Nation’s primary launch system. Methods for dealing with this situation are under intensive examination by the executive and legislative branches of Government. The Commission’s charter is to forge a long-term course for America in space. We are confident that the efforts now under way to resolve the short-term problem of meeting the Nation’s launch needs win be successful, and our attention is therefore concentrated on next-generation launch vehicles. The shuttle represents an effort to build one vehicle to serve many roles. Meeting the diverse requirements for human transport to and from orbit, for orbital stay times of a week, and for transport of large and heavy cargoes both to and from orbit, placed heavy demands on the technologies available at the time the shuttle was designed. The inevitable result was a very complex and somewhat fragile vehicle. A long and difficult development program has resulted in an orbital transport system that is both expensive and technically demanding to operate. The capabilities of the shuttle’s crew have introduced totally new space operations: satellite retrieval, refurbishment, repair, refueling, and reconfiguration. Scientific experimentation in a space laboratory environment is routinely available, and commercial product development can be tried in microgravity. The shuttle has given engineers access to experimental data on hypersonic flight over a wide range of Mach numbers applicable to future trans-atmospheric vehicles. Nevertheless, the space shuttle is a technological triumph and a magnificent achievement both in pioneering winged flight into space and in providing a reusable vehicle for spaceflight. It is a visible symbol of United States leadership in technology and space accomplishment, and an important instrument of national and international policy. It has opened the Highway to Space. The Commission believes that cheaper, more reliable means for transporting both people and cargo to and from orbit must be achieved in the next 20 years. While all space programs would benefit from lower cost orbital transportation, it is especially important that the cost be dramatically reduced for free enterprise to flourish with commercialization of space operations. The Commission is confident that the cost of transportation can and should be reduced below $200 per pound (in 1986 dollars) by the year 2000. If the volume of cargo increases in the early 21st century as it is projected to do, further cost reductions should be achieved. Should the United States choose not to undertake achievement of these economies in launch and recovery capability, then the Nation must face the probability that other nations will rapidly overtake our position as the world’s leading spacefaring nation. The competition to get into space and to operate effectively there is real. Above all, it is imperative that the United States maintain a continuous capability to put both humans and cargo into orbit; never again should the country experience the hiatus we endured from 1975 to 1981, when we were unable to launch astronauts into space. The Commission sees several elements that are critical to achieving more economical and reliable orbital transport. In the next-generation systems we must separate the functions of one-way cargo transport from the round-trip transport of humans and high value cargo to and from orbit. The extra costs associated with round-trip transport of people should not be imposed on vehicles optimized for cargo transport alone. Thus, for the next generation the Commission envisions two operational needs: cargo transport and passenger transport, which may or may not be met with the same family of vehicles. For these vehicles, the Commission sees two essentially different but complementary means to cost reduction. One is the introduction of new concepts and technologies that lead to fundamentally more efficient systems; an example is the replacement of propellers by jets. The other is a process of systematic design improvement and evolutionary development directed at reliability and low operating cost; an example is the evolution of global jet transport into an extremely reliable and economical mode of transport over the last 30 years. Both approaches must be followed in parallel if the United States is to retain preeminence in Earth-to-orbit transportation. To ensure that we are in a position to do so, it is essential that we continuously pursue a vigorous, systematic, and imaginative program of technology development, as has been outlined above in Building the Technology Base. It is also essential that we develop new systems and make evolutionary improvements in existing systems at propitious times. We believe the time will be right to commit to the development of new Earth-to-orbit transport vehicles in the early 1990s, following an intensive exploration of advanced rocket and hypersonic airbreathing propulsion technologies. We also believe it is essential that the Nation continue in the meantime to pursue the evolutionary development of unpiloted orbital cargo transport systems. Our view is consistent with that emerging from the joint NASA/DOD space transportation study, which indicates that the United States will need a mix of reusable launch vehicles in the future. These include unpiloted, automated cargo vehicles designed to carry spacecraft, propellants, bulk cargo, and other commodities; and passenger transport vehicles optimized for launch and return of crews, passengers, and compact, high-value cargo. The former may be logical derivatives of present launch vehicles, updated with technologies dictated by economic considerations, while the latter will constitute the follow-on to the present shuttle for two-way transport. It is essential that from the outset the commercial sector be heavily involved in the design and development of these launch vehicles, This will ensure that the discipline of commercial feasibility will be applied to help reduce operating costs and make possible the earliest transfer of launch operations smoothly to the private sector. The Commission therefore recommends: That next-generation cargo and passenger transport vehicles be designed and developed to be readily operable by commercial firms after the operational phase is reached. 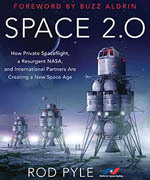 The Sooner the private sector can assume responsibility for design, specification, development, fabrication, flight test, production, and operation of space vehicles and launch and landing facilities, the sooner the United States can begin to pattern Earth-to-orbit transportation after commercial airline operations. The Commission debated at length the critical issue: How and when can the private sector create a competitive U.S. launch service industry? In this, American enterprise will have to Compete with national space transport systems developed and operated under substantial government subsidy in at least Europe, the Soviet Union, China, and Japan. The Commission sees no immediate solution to the dilemma of private versus Government launch services. Private operation of our first-generation shuttle fleet is not practicable. Prohibiting NASA from launching commercial satellites would not, in the face of strong competition from foreign governments, automatically create a private U.S. launch industry based upon existing military-developed rockets. We believe that this complex problem will be solved with next-generation launch vehicles, but we cannot propose a realistic early solution in this report. The shuttle fleet will be reaching the end of its design life about the year 2000. While it may be possible to extend its usefulness, the prospects for drastically lowering transportation costs with these vehicles are not good. We believe, therefore, that the shuttle should be replaced by a new vehicle designed to meet all requirements for the transport of passengers and high-value cargo to and from orbiting spaceports. This vehicle, optimized for passenger transport, may be smaller than the shuttle. Since the Space Station will have been operational five or more years before passenger transport vehicles (PIV) become operational, they will not need the capability for extended, independent way times in orbit. The vehicles should be of modular design, insensitive to failure of individual systems, have autonomous system checks, and thus be capable of operating with a low level of logistical and operational support. While it is not realistic to think of operating these vehicles as autonomously as commercial aircraft, they should be far less dependent on ground support than the present shuttle. PTVs must be designed for reliable low-cast operations, even if this means increased development cost. The Commission recognizes two competing technologies, each of which promises to drastically reduce the cost of achieving orbit: advanced rocket and aerospace plane technologies. An evaluation of these two approaches should be made in the early 1990s after five years of intensive research and development on both; one or both or a hybrid can then be selected for the Highway to Space. The aerospace plane concept involves winged vehicles, fueled by liquid hydrogen, that can depart and land horizontally from conventional jet runways (See sidebar on Aerospace Plane Technology). The configuration of principal interest here would be capable of flying to low Earth orbit using only a single stage. The critical technologies that must be advanced include airbreathing SCRAMJET engines, high-temperature materials, and hypersonic configuration aerodynamics (See Building the Technology Base). In another possible configuration, an aerospace plane could rapidly transport passengers and cargo between distant locations around the globe. This vehicle would take off from a conventional jet airport and proceed to any city around the world in less than two hours at cruise speeds between Mach 4 and Mach 12. The turnaround time at the airport would be consistent with today’s commercial long-range jet airliners such as the DC-10 and Boeing 747. President Reagan used the phrase “Orient Express” to describe this new transport in his State of the Union Address on February 4, 1986. The aerospace plane concept was defined in the 1982-85 period in a concept exploration effort by the Defense Advanced Research Projects Agency (DARPA), with laboratory support from NASA, the Air Force, and the Navy. The next phase is technology development, with wide participation by Government agencies and industry. The Planned aerospace plane development program will include the maturation of key technologies, feasibility demonstration of a radically advanced engine, and the preliminary design of the airframe needed for an experimental flight research vehicle analogous to past X-1 and X-15 research aircraft. The new engine will be built and ground-tested up to about Mach 8 while the new structures and materials needed to fabricate such a vehicle are being developed and tested. The research aircraft is expected to fly about 1992 in a flight test program that will demonstrate hypersonic cruise and acceleration into low Earth orbit. If the flight program confirms the feasibility of the concept, definition and full-scale engineering development of the next generation transport vehicles can be initiated. While the aerospace plane technologies promise to make possible single-stage-to-orbit flight with horizontal takeoff and landing, agencies familiar with such programs agree that there is a high degree of technological risk. Major advances are required for the success of the program. In view of the great promise of this system we strongly recommend that: The technology advances required for aerospace plane development and flight test receive the highest national priority. In parallel with this effort we propose an aggressive technology development program for rocket powered vehicles (See sidebar Advanced Rocket Vehicle Technology), including advances in lightweight dual fuel engines, materials, structures, thermal protection, computers, and launch process simplification. These advances could make possible next-generation, single-stage-to-orbit rocket launch vehicles with a payload-to-lift-off mass ratio as high as ten times that of the shuttle, and comparable to that projected for the aerospace plane. The expense of operating such a rocket vehicle in terms of dollars per pound of payload injected into orbit is essentially determined by how simple the launch operations process can be made. This is because low recurring hardware costs can be achieved through reusability, and maintenance reduced through the increased safety and operating margins made possible by the projected n major performance improvements. Hardware costs currently account for about half of shuttle launch costs. Propellant costs are negligible; even in the current shuttle they amount to only $70 per pound of payload, or four percent of launch costs. With an advanced rocket vehicle, propellant costs could decline to about $10 per pound of payload in orbit; the empty weight of the vehicle will control hardware cost. In order to attain $ 100 to $200 per pound of payload in total launch costs, drastic reductions must, and can, be made in launch operations. Requirements include automated checkout on the launch pad by the cockpit crew, automated cargo handling and vehicle erection, rapid fueling, all-weather capability, standardized payload and passenger modules, and simple, standardized modular servicing. An automated cargo launch vehicle based upon existing technologies could be built in the mid-1990s to achieve a cost of about $1,000 per pound of payload in orbit, if growth in demand were to require such a vehicle. If we can wait until the year 2000, however, interim investments in advanced rocket and aerospace plane technologies could then make possible launch costs approaching $200 per pound of payload to orbit. Due to the diversity in payload size and mass, these vehicles should be of modular design or produced in different sizes. We strongly urge that production of current-technology vehicles not be allowed to delay development of the more advanced technologies that win make possible lower cost vehicles to usher in economical space operations early in the next century. Since the first satellite was launched in 1957, spacecraft have been left in orbit once they fail, becoming part of the general debris there until they reenter the atmosphere and burn up or reach the ground (See sidebar Protecting the Space Environment from Debris). The capability to retrieve or repair satellites in orbit did not exist. With the advent of the space shuttle, this capability has been attained, and over the past three years we have begun to retrieve and repair satellites on an experimental basis. In April 1984, the Solar Maximum Mission spacecraft was retrieved and repaired in orbit and in November 1984, two communications satellites (Palapa and Westar) were retrieved and returned to Earth to be repaired and someday reflown. In August 1985, two astronauts “jump-started” the LEASAT 3 spacecraft, gladdening the hearts of its manufacturer, insurers, and customers. Clearly our operational capability in orbit is rapidly expanding. Within the next decade we will be able to assemble, service, and repair in space structures of very large sizes. For example, the 24,000 pound Hubble Space Telescope will be placed in Earth orbit and serviced and repaired there. In the 1990s, NASA will assemble in orbit its first permanently-occupied space station, weighing about 150 tons, which will in turn facilitate increased orbital operations. In January 1984, President Reagan approved NASA’s request for a permanently occupied space station in low Earth orbit, and asked that it be ready by 1994. The United States has launched only one space station, Skylab, which was successively occupied by three crews in 1973 and 1974. The final crew remained in space for 84 days, a record at that time. The new Space Station and its transportation link to Earth, the space shuttle, are twin elements that will make it possible for men and women to five and work in Earth orbit. The new space station will be built by NASA for multiple use with broad international participation (See sidebar Space Station). The introduction of the Space Station by 1994 will represent the end of our visitor status in space, signaling the beginning of the era of permanent occupancy of space for the United States and our partners. The primary functions of the Space Station crew will be servicing research and applications satellites, performing microgravity and other research, and learning to live and work productively in space for prolonged periods. Many satellites whose final working locations are in low orbit will be checked out and then supported from die Space Station. At the checkout facility the antennas and solar panels of those satellites can be deployed, after which the satellites can be gently moved to their working locations. Spacecraft in this category include scientific telescopes, Earth-observation satellites, and unpiloted “long-duration pallets” on which microgravity processing and long-term experiments are mounted. To emplace and retrieve orbiting systems from the Space Station, NASA is developing an orbital maneuvering vehicle that is scheduled to be operational in 1991. It will be supported from the space shuttle until 1994, and then from the Space Station. In addition to moving satellites at low acceleration to their final locations in relatively low orbits, it will deliver expendable supplies to satellites and transport astronauts for satellite maintenance. The maneuvering vehicle will have remotely controlled manipulator arms to handle satellites under its care. Its role will resemble that of a “harbor tug” in a ship anchorage. Refueling operations for orbital maneuvering vehicles and other spacecraft require orbiting storage tanks for propellants. Shuttle external fuel tanks are too large and otherwise unsuitable for this, application; specifically designed tankage will therefore be required. The orbital maneuvering vehicle will be an indispensable tool for operations at future space stations and spaceports, and for other facilities in Earth, lunar, and Martian orbits. It will be mandatot3, for operations with cycling spaceships traveling between Earth and Mars. Because it is critical for many applications, we recommend that: The orbital maneuvering vehicle program continue on schedule for a 1991 operational capability. New vehicles will be required to carry large payloads and crews to geostationary orbit, the Moon, or Mars at reasonable cost. We need a dedicated technology development effort to extend the benefits of reusability and modular design to a family of transfer vehicles. Transfer vehicles must be designed for either piloted or unpiloted operation as mission needs dictate. Initially, fully-fueled transfer vehicles will be lifted from Earth on an automated cargo vehicle. Later, when orbital facilities arc adequate, much higher efficiencies can be attained by parking and refueling transfer vehicles at a spaceport rather than returning them to Earth after each mission. Both chemically-powered and electrically-powered transfer vehicles may be necessary for greatest overall operational economy. A high priority exists for this vehicle, which will greatly lower the cost of access to geostationary orbit and to the Moon for crews and payloads ranging from 10 to 20 tons. The transfer vehicle will be modular, single-stage, fueled by liquid oxygen and liquid hydrogen, and outfitted with an aerobrake to conserve fuel by allowing the vehicle to slow down through the drag of Earth’s atmosphere. Aerobraking has been common since the first piloted spaceflights, and was crucial to the success of Apollo. Modular design will permit clustering two or more transfer vehicles to handle larger payloads. With appropriate modification the transfer vehicle could be used as a lunar lander. After departing the lunar surface the landing legs would be “parked” in orbit above the Moon and exchanged there for an aerobrake. We set the highest priority on having the transfer vehicle operational to support robotic lunar mapping, and sample return missions. It should be space-based to support astronauts returning to the Moon by 2005. The pacing technology for the transfer vehicle is the reusable aerobrake. We therefore recommend: Development and flight demonstration of a reusable aerobrake system for future transfer vehicles by 1991. A more efficient, lower-thrust vehicle is needed to supplement the chemical vehicle for the long-range transportation of bulk cargo such as propellants. Electric propulsion is ideal for this application. Electric propulsion is needed for high energy robotic missions to asteroids, comets, and the fascinating worlds of the outer Solar System. Solar-powered and nuclear-powered electric vehicles are needed to launch robotic outer Solar System exploration missions. With modular basic thrusters the vehicle can use either power source. Saturn ring rendezvous and probing the Uranian Ocean will require such a capability. These electric vehicles will also become the workhorses that provide logistic support to Martian operations. Candidate technologies for the electric transfer vehicle’s thruster are the ion engine and mass-driver engine, both described in the section on “Electric Propulsion” above. We recommend that: Electric powered transfer vehicles be developed suitable for either solar or nuclear power. The combination of modular, reusable chemical and electric transfer vehicles will provide the low-cost, frequent access needed to extend the Highway to Space into a Bridge between Worlds. Space tethers cm be used to advantage in a number of innovative ways, including maintaining propellant tanks at partial gravity for safe storage and ready transfer, providing correction for atmospheric drag and emergency electrical power, storing logistic supplies, minimizing docking transients, and conserving propellants by allowing the exchange of momentum between upgoing and downgoing vehicles in transit between Earth and geostationary orbit, the Moon, or Mars (See sidebar Tethers in Space). The Commission recommends that: Tether demonstrations be carried out in space both on shuttle missions and as an integral pan of the initial Space Station research program. Our program envisions an evolution of permanent modular space facilities beginning with the initial Space Station in low Earth orbit, and rapidly moving to a spaceport in low orbit, a variable gravity, research facility, and spaceports in deep space. Eventually there will be a network of spaceports between Earth, Moon, and Mars, with permanent bases on the Moon and Mars. These bases would initially be used for scientific research and for developing lunar and Martian surface resources. The Earth Spaceport is envisioned as a permanent center optimized to support transportation operations. It will be a depot for storage, fueling, repair, supply, maintenance, and launch of transfer vehicles and orbital maneuvering vehicles. It will evolve from the initial Space Station by the addition of power, hangar and servicing facilities, a propellant holding and refueling depot, and additional habitation and other modules. The capabilities of Earth Spaceport would be expected to grow with time, expanding from the initial port capability of the late to full capability to support the Bridge between Worlds before 2010. As previously noted, early research using the space shuttle is urgently needed to help answer some critical questions. For example, what rotation rates are comfortable or tolerable for humans experiencing Earth-normal gravity simulated by rotation? (See sidebar Gravitation and Biology). In the longer term, more complex questions must be answered. What gravity level is needed to present the deleterious effects of less than Earth gravity? We suspect that the answer will turn out to be much less than 1g, but experiments are needed to establish how much less. If one-sixth gravity is adequate, then long-term habitation on the Moon will be practicable; if one-third gravity is adequate, then humans can inhabit the surface of Mars. What are the effects of return from low g to Earth gravity? Experiments to settle these questions will have to be carried out over long periods of time. For this work a variable gravity research facility is required. In addition to physiological studies, the Variable-g Research Facility should support basic research on the effects of low gravity in many scientific disciplines. Thus, it will be available for studies of physics, chemistry, and 6ology in space (See sidebar on Physics, Chemistry, and Biology in Space). This facility win also be needed for long-term testing of the synthetic biospheres that will support life in voyages to Mars and on the surfaces of the Moon and Mars. The most economical way to conduct the necessary long-duration experiments will probably be to rotate a habitation module connected to a counterweight at the end of a cable. In a variable gravity research facility, the rotation rate and the gravity level will be independently variable through control of tether length and rotation rate. Earlier experiments will have established the upper limit of rotation rates that are comfortable for most people. We expect the limit to be in the range of 1 to 10 revolutions per minute. The Variable-g Research Facility, like other space facilities, should be built using standard module and previously developed utility subsystems. This facility must establish gravity level requirements in time to contribute to the definition and design of the orbital spaceports for the Moon, Mars, libration points, and the design of cycling spaceships for the Mars Run. Astronaut return to the Moon is set as a goal for the early years of the next century, after which we will need cycling spaceships to support Mars transport. AD spaceport designs should be similar and use standardized modules and equipment. With normal lead times for development, we should begin design of cycling spaceships, Lunar Spaceport, Mars Spaceport, and Martian bases before the year 2005. The Commission recommends: Early availability of a dedicated Variable-g Research Facility in Earth orbit to establish design parameters for future long-duration space mission facilities. Our rationale for exploring and developing the inner Solar System was presented in Part I. In this section we examine the future transportation network beyond Earth orbit that will carry people, equipment, and supplies to the Moon and Mars, and orbits near those bodies. The word “location” has far less meaning in space than it does on Earth. In space, movement over great distances can be quite easy if the course is at the same level in gravitational terms—rather like walking on a contour line around a mountain. In space, the energy and time required for transition from one location to another will determine the best way to conduct each mission. Even now we are still learning of new trajectories which are more efficient or more rapid than those previously calculated. In the discussion that follows, we describe one way, but certainly not the only way, to reach our goals. The Apollo project proved that it was possible to go to the Moon, and to return safely, without an elaborate network of space, stations, spaceports, and refueling depots. In opening the Highway to Space, it is likely that single-purpose missions for science or resource development will be carried out well before such an infrastructure is completed. Then, as traffic flow increases, the network to lower operating costs will take over. There are five points in the Earth-Moon system where space stations can remain without significant expenditure of energy (propellant). They are called libration points, but are also referred to as Lagrange points after the French physicist and mathematician who calculated their existence. They are numbered L1 through L5. The first three are unstable points, in the sense that if a spaceport or space station begins to drift away from L1, L2, or L3 it will continue to drift farther away. Those first three libration points are all on the Earth-Moon line. The last two points, L4 and L5, are stable, in the sense that a spaceport or other facility located at one of them will return to it if displaced. L4 and L5 are on the orbit of the Moon around Earth. There are corresponding libration points in the system of the Earth and Sun, and in the system of the Sun and Jupiter. A group of asteroids is known to be associated with Jupiter’s L4 and L5 points. One or more of the libration points may be suitable for the location of a space station or spaceport. The competitors to such locations include circular orbits in the Earth-Moon system, highly elliptical orbits, and cycling trajectories. These orbits and trajectories pass near Earth and the Moon as they loop around these bodies. Spacecraft would receive gravitational assists with each passage in close proximity to either the Moon or Earth, and thus would keep the same relative position during the Moon’s 28-day cycle around Earth. The L2 Libration Point appears to be a particularly good location for receiving payloads catapulted from the Moon by a mass-driver. The L2 Point is beyond the Moon by several lunar diameters. L1, which is along the Earth-Moon line and between the two bodies, may be the best jumping-off point for trips to Mars. The Commission firmly believes that we should go back to the Moon and on to Mars for sustained, permanent activities. To reduce transport costs, it will be effective to locate spaceports at Libration Points or in orbit around the Moon and Mars. To reduce costs on the Mars Run, a third spaceport would be useful to serve as a transportation terminal, located in high orbit, possibly at the Ll Point. All spaceports, whether in orbit or at Libration Points around Earth, the Moon, or Mars, will share the same modular design, with modules grouped as necessary for each task. All spaceports will rotate to provide artificial gravity. As in the case of the Variable-g Research Facility, rotation rate and center of gravity at the spaceport will be controlled by the adjustment of outstretched tethers. The Lunar Spaceport must handle incoming and departing transfer vehicles. It will have repair parts, storage and repair depot facilities, propellant storage and refueling facilities, servicing and reconfiguration shops. To the extent that there is mass balance “going down” and “going up” from the Lunar Spaceport, the use of a momentum transfer device can save propellants as in t1rie case of the Earth Spaceport. A tether 300 miles long can increase the velocity 150 percent of a vehicle having only half of lunar orbit velocity, which will be sufficient to inject it into trans-Earth trajectory without the vehicle firing its engines. The necessary momentum will be received by slowing down transfer vehicles coming in from Earth and descending to the lunar surface. In order to transfer momentum between incoming transfer vehicles from Earth and outgoing transfer vehicles from the Moon, the Lunar Spaceport will move in an elliptical orbit, dipping close to the Moon and then rising high above it. To handle fully loaded transfer vehicles, a tether made of a, high-strength, low-weight polymeric material like coated Kevlar will need to be about .2 inch thick. The mass of such a tether would approach that of the transfer vehicle. Research on new materials with higher strength-to-weight ratios could decrease tether mass. After several years of research with the Variable-g Research Facility, it will be moved to lunar orbit and serve as the Lunar Spaceport. The Lunar Spaceport will become a hub of activity as tons of habitation modules, cranes, scientific devices, lunar rovers, and processing and manufacturing equipment descend upon the Moon’s surface. Return traffic from the Moon will provide lunar soil for shielding and processing, thus providing oxygen, lunar metals, and possibly hydrogen. Processing and manufacturing may take place either on the lunar surface, at platforms in close proximity to the Lunar Spaceport, or both. Availability of the Spaceport would allow upgrading outposts on the lunar surface. With the promise shown by mass-driver experiments to date, it is expected that raw lunar soil could be catapulted directly to a receiving station at the L2 Libration Point or other site. The lowest energy, transfer point for travel to or from Mars is the Ll Point, about 35,000 miles from the Moon. This would be an especially favorable location for a spaceport serving the Mars Run. The Ll Spaceport would facilitate a future intensive buildup of a Mars base. It would be a spaceborne combined motel/gas station/warehouse/restaurant/garage. It should have a closed-cycle fife support system and some level of artificial g. The amount of g required will have been determined through experiments at the Variable-g Research Facility. The reach to Mars will tax our ingenuity in the 21st century, and will depend strongly on technology and experience acquired in working on the Moon and in Earth-Moon space. The leap of distance alone, from the relative proximity of the Moon’s 240,000 miles from Earth out across the intervening void of up to 230 million miles separating Earth and Mars, will demand much of both people and machines. In order to extend our inner Solar System transportation network to include the red planet, a Mars Spaceport will be required when the traffic becomes, heavy. The Mars Spaceport will serve as a base for scientific investigations of the Martian surface, and will be a node for incoming and outgoing crews and equipment. It will perform a function similar to that of the Lunar Spaceport, and like the earlier structure, will have artificial gravity. In the case of Mars, an added degree of flexibility exists for using momentum transfer between incoming and outgoing vehicles in order to conserve energy and minimize required propellants. Vertical tethers can be emplaced extending both upward and downward from the Martian moons, Phobos and Deimos, to form a two-step ladder. Am incoming transfer vehicle from Earth could inject into a highly elliptical Mars orbit using aerobraking. It would then rendezvous with the outermost end of the Deimos tether, travel on the tether toward and then past Deimos, and at the proper time release itself from the lower end of the Deimos tether. It would then be in a favorable orbit to rendezvous with the upper end of the Phobos tether. The transfer vehicle could travel down the upward Phobos tether and cast off at Phobos to drift into rendezvous with the Mars Spaceport. As an alternative, the transfer vehicle could travel down to the lower end of the downward Phobos tether and release, in which case it could descend directly to the Martian surface. In the Mars application, the tethers would need to be quite long, about 525 to 650 miles at Phobos, and about 1,500 to 3,300 miles at Deimos. But as the forces on them would be low, they could be thin, about 1/32 inch in diameter, to support a 40,000-pound transfer vehicle. Major propellant manufacturing facility will probably be placed on Phobos. It is possible that Phobos is carbonaceous and, if so, water may be readily extractable by heating. To supply energy to carry the heavy components of a Mars Spaceport, a propellant factory, and a Mars Base over the long supply line from the Earth-Moon system, it is likely that a nuclear electric power source will be needed. Candidate propulsion systems include the ion engine and the mass-driver catapult used as a rocket engine. A mass-driver half a mile long, running on solar or nuclear electric power, could provide substantial thrust. A mass-driver is attractive because it could use any available raw material as its propellant. Those raw materials include soil from the lunar surface, Mars, or a Martian moon, or otherwise wasted slag from industrial operations in space. To prevent the accumulation of debris, material ejected by a mass-driver engine would need to be in powder form and should probably be vaporized upon ejection. A number of minimum-energy trajectories have been studied for the Mars Run. While these trajectories result in acceptable trip times of months and Mars stay times of about one year, the acceleration and deceleration of massive spaceships on these routes would require high energy. A better way to gain access to Mars might be to avoid accelerating and decelerating large spaceships. This can be accomplished by using cycling spaceships which permanently cycle back and forth between the orbits of Earth and Mars. Their trajectories would need only minor adjustments on each cycle. Transit times between the Earth-Moon region and the vicinity of Mars, will be about six months. Like ocean liners, the cycling spaceships will contain all the necessities for extended journeys. They will be sufficiently spacious to provide passengers with comfortable quarters for long voyages through space, and would include substantial research facilities. They will have food production and recycling, water and air reuse, and “artificial biosphere” closed-ecology fife support. This will support crews during trip times of several years duration. The ability to sustain life on the cycling spaceships for years will be necessary for safety. If there is a problem on Mars or with the transfer vehicles or tether systems, the crew may have to ride the spaceship all the way around to the next encounter with Earth, which might take four years. A cycling spaceship’s design would resemble that of the rotating Variable-g Research Facility, or a spaceport. It could be comprised of eight or more standard space station modules, several of which could be “despun” on the spin axis to provide microgravity environments. As with the spaceports, propellant storage will be at a great distance from the habitation modules. The habitation and recreational facilities, area for growing food crops, and the radiation shelter for crew protection from solar flares would all be provided with artificial gravity. Spaceship mass can be reduced by using tethers rather than central support trusses to link the modules. The crew size to be accommodated will vary through a mission, because crew members and passengers will be departing cycling spaceships at different times. If the fully capable Mars Base has about 20 people occupying it at all times, with exchanges of one-half the base population every two years, about 17 people will be on the cycling spaceship at any one time. Two cycling spaceships will be sufficient to support the initial traffic to and from Mars. Similar to ocean liners on a fixed route, the cycling spaceships will cruise interplanetary distances on repeating trajectories, picking up and dropping off transfer vehicles for the “taxi” function. On a mission from Earth to Mars, crews will leave a Libration Point Spaceport on a transfer vehicle, accelerating to match velocity and dock with a cycling spaceship. They will park their transfer vehicle in one of the cycling spaceship hangars, and live on the spaceship until they arrive in the vicinity of Mars, a time of five to seven months depending on the trajectory chosen. The transfer vehicle will be refueled, the Mars-bound crew will reboard it and depart the spaceship on a trajectory to the upper Martian atmosphere. Aerobraking, they will enter an elliptical orbit about Mars. Transfer to the orbit of the Mars Spaceport could be made by the system of tethers on Deimos and Phobos, or the transfer vehicle could aerobrake to a landing on Mars. Stay times on Mars will be from one to four years, with departure times dependent upon the alignments of Mars, Earth, and the cycling spaceships. The cycling spaceships win be built to furnish continuous gravity, and to be able to vary it during the trans-Mars or trans-Earth missions. It is probable that flight crews going to Mars will start the mission at 1g on the cycling spaceship, and that its rotation will be decreased gradually to 0.34g—the Martian surface gravity level—so that the crew will be fully acclimated upon arrival at Mars. The return trip from Mars would see the reverse process—starting at 0.34: and gradually building up rotation so as to stabilize at 1g well in advance of near-Earth arrival. This system of cycling spaceships will form the backbone of the Earth-Mars transportation system. It will allow transportation with less propellant than direct transfers, and will be sized so that its capability can grow as the Mars Base expands. Early outposts on the lunar surface are essential in the development of the space frontier. They will permit the extension of lunar exploration for the purposes of both scientific research and resource development. They will be sites for pilot plants that use lunar resources, especially to produce propellants. Lunar outposts (and later lunar bases) will serve as the focus for die development and test of equipment and facilities. We should concentrate on a step-by-step program for establishing a lunar outpost, so it can gradually evolve, into a permanent lunar base. The process will start in the 1990s with robotic return flights to the Moon, progressing toward an astronaut science outpost and pilot plants for oxygen production. These initial facilities will evolve toward pi full lunar base with self-supporting capabilities. The first return to the Moon will be made by robotic and tele-operated equipment. It will require Earth-to-orbit launch by the shuttle or a later cargo lift vehicle, and transport to lunar orbit or to lunar surface by the transfer vehicle. Flights of this kind will emplace robotic sensors and the components of a lunar outpost. When the Earth Spaceport becomes operational, the returning vehicles will aerobrake to achieve low circular orbits for docking with the spaceport. There they will be refueled for subsequent trips. Two purposes will drive the activity at the lunar outpost: science and the evaluation of equipment for using lunar resources. The scientific thrusts will be toward understanding the origin and evolution of the Moon, This will aid in understanding the early development of Earth. The oldest lunar rocks will provide important dues to help resolve questions concerning the possible non-terrestrial origin of life on early Earth. Some scientific objectives, for example the emplacement of a radio telescope shielded from Earth’s radio noise, can be accomplished with the support of an outpost located on the far side of the Moon. It is probably unnecessary for such an outpost to be visited more than occasionally. 71.7here are substantial advantages to locating other types of astronomical telescopes on the Moon also. For example, telescopes designed for observations in the optical, ultraviolet, and infrared parts of the spectrum can take advantage of the extremely stable platform and freedom from contaminants that the lunar surface provides. During the lunar night, moreover, the very low ambient temperature would be helpful in improving the sensitivity of infrared observations. For complex telescopes of this type, more frequent visits would be necessary for maintenance purposes. Although we found the Moon to be lifeless, much research in the fife sciences can benefit from location at a lunar outpost. It could become a safe testbed for the genetic engineering of micro-organisms to concentrate elements, including the volatiles found in trace amounts in the lunar surface soils. The lunar outpost will also be a good location for testing much of the closed environment life support systems and larger scale artificial biospheres that will find application throughout the inner Solar System. Resource use will be the other major driver for lunar development. The resources which will certainly be needed in Earth-Moon space, and which can possibly be delivered to the points of use more economically from the Moon than from Earth, are shielding and oxygen. The first requires no processing, while the second could be obtained from the lunar soil minerals, which are typically metal silicates. Oxygen is the most abundant element in the lunar soils, constituting 40 percent of those soils by weight. The processes so far studied for extraction of oxygen from lunar soils are fluorine wet chemistry, the reduction by hydrogen of ilmenite (iron-titanium oxide), and electrolysis. In all chemical extraction processes the necessary reactive elements not found in high abundance on the Moon (such as fluorine and hydrogen) will be recirculated. Laboratory scale measurements of these recovery processes indicate that the trace amounts of these elements found in the lunar soils VAR be sufficient to make up losses in the recirculation process. Energy costs will be important in determining which lunar elements can be delivered to their points of use at less cost than equivalent materials from Earth. Lunar mining is based on the premise that the energy required to lift material from the Moon to Earth orbit is less than five percent of the energy required to lift material from Earth to orbit. For shielding, in which no processing of the raw soil is required, the economic advantage may be significant. For oxygen and other pure elements, the energy cost of the processing plants will determine not only economic competition, but the best locations for processing. Much of the energy required for processing is thermal. That tends to favor locating processing plants in high orbit, where full time solar energy is available. The alternative is location on the lunar surface. There, an economic trade-off is required for each processing application to determine whether it is less expensive to build a plant dependent on solar energy, and shut it down during the lunar night, or to emplace a nuclear generator to provide full-time power. The resource development of the Moon would be altered drastically if volatile elements were found frozen in ices in permanently shadowed craters near the lunar poles. In principle, all of the propellant needs for hydrogen/oxygen rockets operating between the lunar surface and low Earth orbit could be met from lunar sources if such volatiles were found. The needs of lunar outposts, bases, and their biospheres for water could also be met from those sources. In earlier sections we have, therefore, set a very high priority on remote sensing and sample return missions to examine those special locations. Initial lunar outposts can be built from the same modular components that will be employed in the Variable-g Research Facility and the spaceports. Their lineage will trace back to Apollo, Skylab, the shuttle, and the Space Station. The challenge is greater when the emphasis shifts, as it will, to the creation of a self-sufficient biosphere on the Moon, using local materials to replenish losses. But this challenge must be met in order to obtain the experience and the expertise to create equivalent biospheres, of high reliability, at the much greater distances of Mars and the asteroids, when those will be necessary. The proximity of the Moon, its inherent scientific interest, and its potential value for resources to be used in space all lead us to recommend: Establishing the first lunar outpost within the next 20 years, and progressing to permanently-occupied lunar bases within the following decade. Following unpiloted precursor missions, and drawing strongly on the experience gained in establishing one or more permanent bases on and in orbit over the Moon, people will visit Mars, first to establish Mars outposts, and later to develop Mars bases. The scientific justification for such missions was discussed in an earlier section. The methods required for the economical extension of the human reach to the distance of Mars are complex because of the times and distances involved, but also rich in possibilities; because of the presence very close to Mars of its moons, Phobos and Deimos. In our projection of a likely plan, the first humans to visit Mars will do so on the first trip of a cycling spaceship. They will visit the Martian moons, or descend directly to the surface of Mars, using a transfer vehicle with aerobraking. If it is established that Phobos is rich in volatile elements, the first crew to visit Phobos will emplace a plant on Phobos to produce hydrogen, oxygen, and water. The propellants obtained from this plant will support future Mars operations, and greatly reduce the necessary cargoes transported over the long supply line from Earth. On Mars, as earlier on the Moon, habitats and laboratories will be built out of standard spaceport modules. Again, both on the Moon and on, Mars pressurized spaces will be shielded or constructed underground for protection from radiation. There is a logical sequence of experience for the design of land-roving vehicles both for the Moon and for Mars, and that sequence has already begun with the exploration and permanent occupation of portions of Antarctica. For long-distance traverses of the surface, there will be enclosed vehicles, equipped with full life support systems, in which people can live and work in shirt-sleeve environments for many days. For short trips in the vicinity of outposts and bases, vehicles roughly similar to the lunar rover of the Apollo era will be used. To ride those vehicles, crew members will wear space suits with their own short-period life support systems. For observation, surveys, and checkout of changing conditions, remotely piloted Mars airplanes are likely to be useful. Those relatively small craft will draw on the design experience of low-speed aircraft operating in Earth’s atmosphere, and on the extensive experience of remotely piloted military observation craft. The great distance of Mars will dictate not only the development of complete and fully redundant biospheres for operation there, but also the establishment of two or more bases, for example, both on the planetary surface and in orbit, so that a serious problem occurring in one of the bases can be overcome by quickly transferring personnel from the affected base to another. Energy costs will determine what products can be derived economically from the Martian atmosphere. In principle, oxygen, hydrogen, water, nitrogen, fertilizer, and methane, as well as other compounds, could all be extracted from the atmosphere of Mars. As in the case of the Moon, the energy source to support a Mars Base could be solar or nuclear. Solar energy may be more usable on Mars than on the Moon, in spite of Mars’ greater distance from the Sun, because the rotation rate of the red planet makes the intervals of darkness only about a thirtieth as long as on the lunar equator. A nuclear generator that powers life support systems must include redundant pairs or triplets of generators. We project the growth of an initial Mars outpost to a Mars Base in about the third decade of the next century. While that seems far away now, many of the people who will live and work at that Mars Base have already been born. We see the Mars Base not as an end in itself, but as a logical step in the development of the inner Solar System. The discoveries in planetary science which are sure to be made as we explore the Moon, Mars, and nearby asteroids, and the resource developments which will occur as the result both of resource exploration and further advances in processing systems, are likely to bring people to many locations in space. The habitats we build there and the experience we gain there will combine to be a springboard for human exploration still farther into our Solar System. The expansion of operations envisioned will require frequent communications contact with the orbital facilities and transfer vehicles throughout the inner Solar System. A number of tracking, navigations, and data relay satellites will be needed. These will be located in geostationary Earth orbit, in orbit around Mars, and in libration points near the Moon. With fully reusable rocket powered vehicles operating between Earth and the Moon, with a network of spaceports stationed near Earth, the Moon, and Mars, with high efficiency transport of raw materials into space for processing, and with cycling spaceships making the long voyage to Mars on a regular basis, the transportation network for the inner Solar System will be fully in place. That network will extend the reach of human aspiration, and will open the inner Solar System for continued research, productive enterprise, and human settlement.